Discover of Moscow during this half-day private river cruise tour. Get to know more about Russian history and culture from your tour guide as you make your way to the port. 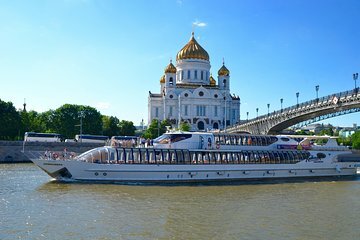 Then hop aboard your own luxury boat for a 3-hour cruise down the Moskva River and pass a number of the city’s key landmarks such as the Moscow Kremlin and the Cathedral of Christ the Savior.